Hiking up to Bear Peak via Shanahan Ridge was such a fun way to start the week. 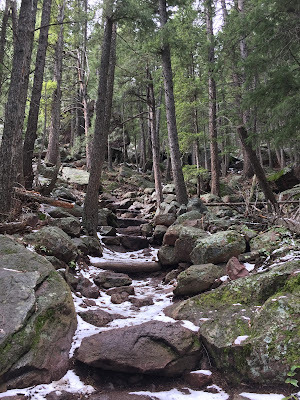 The trail was five miles, there and back and had an elevation gain of over 2,500 ft. The AllTrails app said this trail is "only recommended for very experienced adventurers." I'm so glad I've found a way to explore these mountains more! Macey and I at the park at the base of the trail the next morning. What this playground lacked in equipment, it made up for in views.